I had fun watercoloring on this card! 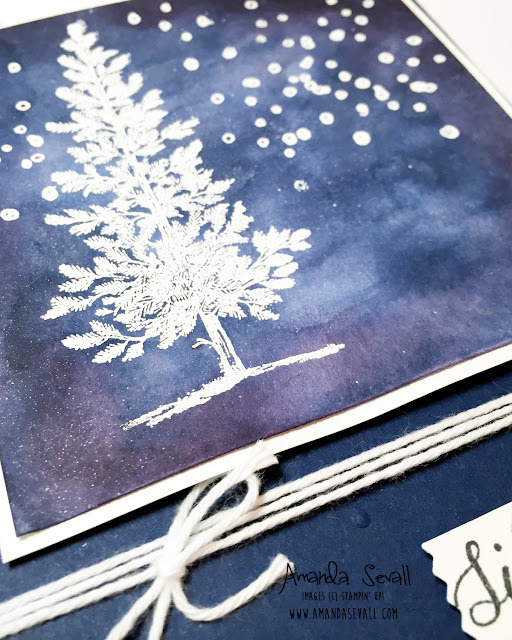 I first stamped in versamark and then used white embossing powder to create my tree and snow scene, then watercolored over the top with Night of Navy and Elegant Eggplant. It was a fun, quick card that would be easy to mass produce! Happy Monday and thanks for stopping by today! Very pretty! I need to try painting over embossing. Sounds fun! 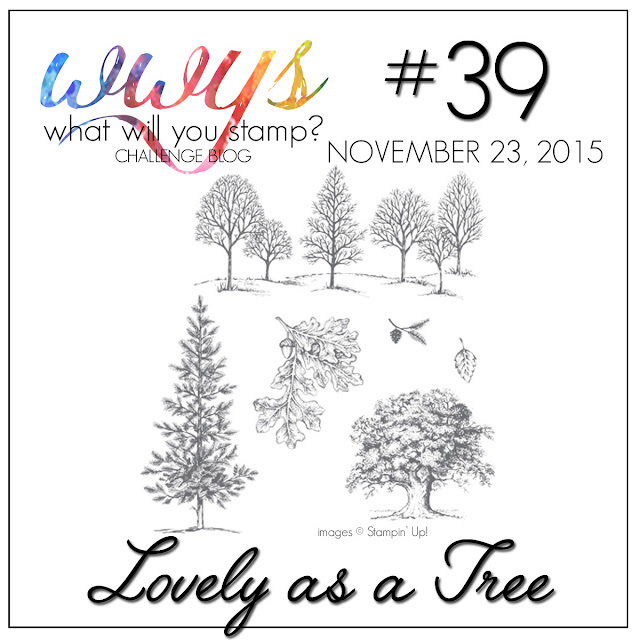 365 Cards: Let it Snow. Let It Snow. Let It Snow. 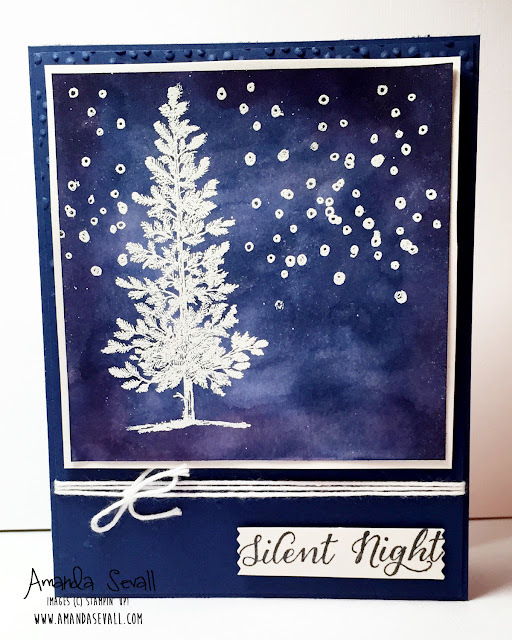 365 Cards: Let it Snow! !